Even though I’m not a fan of joystick controllers they keep showing up in my collection. Not that I really use them, it’s just that I like to collect peripherals for the classic consoles. 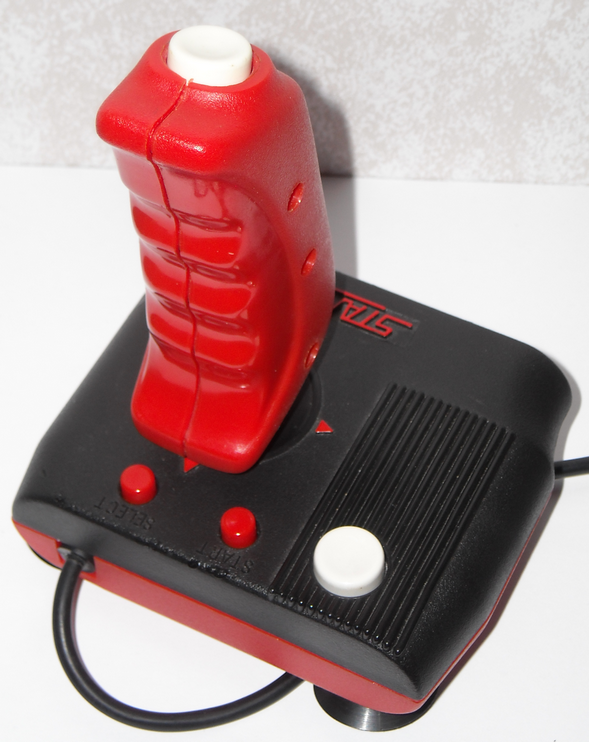 Today we’ll be testing out the Starmaster joystick for the NES. My first impression of the Starmaster was that the plastic feels cheap. It doesn’t feel like I’m going to break the joystick off or anything, but compared to the Beeshu Zinger the Starmaster just feels a bit cheaper. When it comes to turbo buttons and the flexibility of using it right and left handed, the Starmaster comes up short. Something else that comes up short is the exceedingly short cable, seemingly measured from the notoriously short Famicom controllers, rather than an NES controller. For testing the Starmaster I used Galaxian and Super Mario Bros. The buttons were very responsive, but I did have some issues with holding right and needing to wiggle the joystick a little to reengage that direction. I must admit that a joystick really does bring something different to Galaxian and makes me enjoy it more that just a controller. As for Super Mario Bros. the joystick didn’t inhibit my ability to play, it’s just not what I’m familiar with. To its credit, the Starmaster does have clicky inputs, which I find satisfying to use. The downfall of those clicky inputs is that they’re merely convexed pieces of metal that, once pressed, concave to finish the circuit on the board. The real problem came when I took the controller apart to fix one of these contacts and noticed they were merely taped to the board, and over the many years of this joystick’s life the tape had perished allowing the piece of metal to move. Given how old the Starmaster is I can forgive the few problems I’ve had with it. 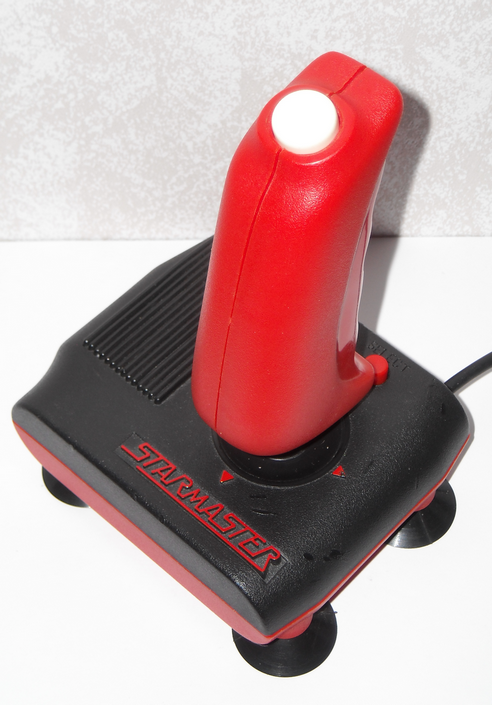 The Starmaster may have been a good joystick for shooters back in its day, but over the years its build quality hasn’t really held up. With much better options out there I don’t see the Starmaster as being very good, unless you’re just a no frills type of person, in which case this joystick may be right up your alley.